Cheers to the Official Cocktail of the Mississippi Gulf Coast! 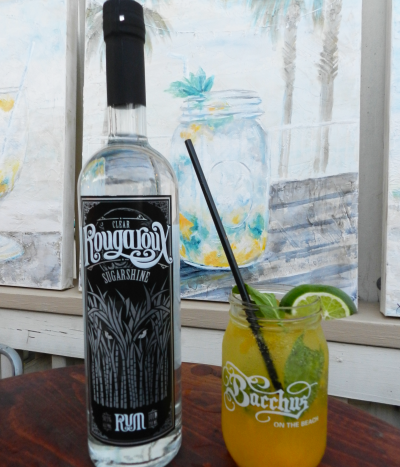 This spring, Visit Mississippi Gulf Coast joined forces with Eat MS Coast and Donner Peltier Distillers, the makers of Rougaroux® Rum, to create the Official Cocktail of the Mississippi Gulf Coast. Recipes were submitted, judging took place, numerous cocktails were tasted and thousands of votes were cast to make cocktail history here on the Mississippi Gulf Coast. After all was said and done, it was the Cat Island Cruiser, created by Catherine “Cat” Ryan, that was named as the Official Cocktail of the Mississippi Gulf Coast! Cat drew inspiration for the Cat Island Cruiser from the coast’s unique vibe and feel. 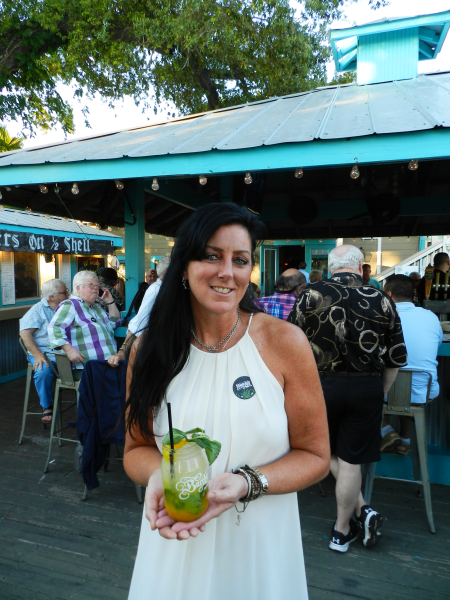 She manages the Seersucker Bar at Bacchus on the Beach and regulars often refer to this outdoor bar as "Cat Island" in honor of their beloved bartender (pictured above). This also happens to be the name of one of the local barrier islands located just off the Mississippi Gulf Coast. Cat created her signature cocktail while watching the sunset over the Mississippi Sound at her "Cat Island" bar. The beauty of the Cat Island Cruiser is that it’s delicious, yet easy to make, so you can enjoy this refreshing cocktail all summer long! In a large Mason jar, muddle together fresh mango chunks (or ½ ounce mango puree), 2 lime wedges, and a few fresh mint leaves. Add 1 ounce Cilantro-Mint Simple Syrup (recipe follows), and muddle again briefly. Fill the jar almost to the top with crushed ice. Pour in 1½ ounces Rougaroux® Sugarshine Rum; top with club soda. Garnish with fresh mint, if desired. *stay tuned for more locations to come soon!